With a site as wide-ranging as ESPN.com, it’s difficult to assess the kind of stories that the site does best. There’s breaking news, game stories, features, essays, columns — and sometimes these are all packaged together, particularly for a big event such as the Super Bowl. In fact, what ESPN does best is covering major sporting events and major developing sports stories. The site has the resources to come at these stories from all angles and the creative, tech-savvy designers who are able to package the content in a digestible way. ESPN.com readers are happy to scour the site on the day of the Super Bowl for coverage. But users looking back on the Super Bowl who come to the site much later are served extremely well by this landing page — a method of curating content that is a great example of using the web to its fullest. The other type of story ESPN.com covers particularly well is the major breaking news story. The most recent example is the Joe Paterno scandal at Penn State. 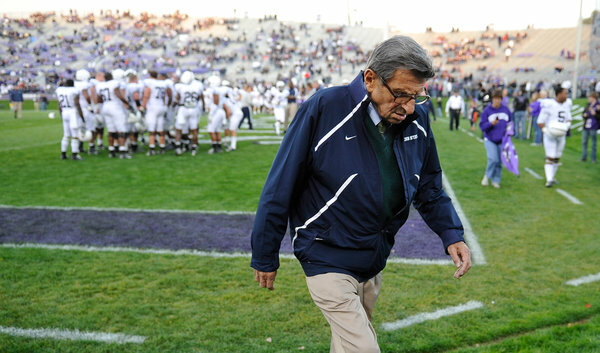 Similar to the Super Bowl, ESPN.com created a landing page for this story, which spanned several months — starting from allegations against assistant coach Joe Sandusky and ending with Paterno’s death in early 2012.The page includes thoughtful columns about Paterno’s legacy, video reaction from coaches and players across the country, and a timeline of his life. Because ESPN has such immense resources, editors and designers have the good problem of bringing together a range of content in a short period of time. The site makes great use of video, audio, photos and text whenever a major event or a major breaking news story unfolds.